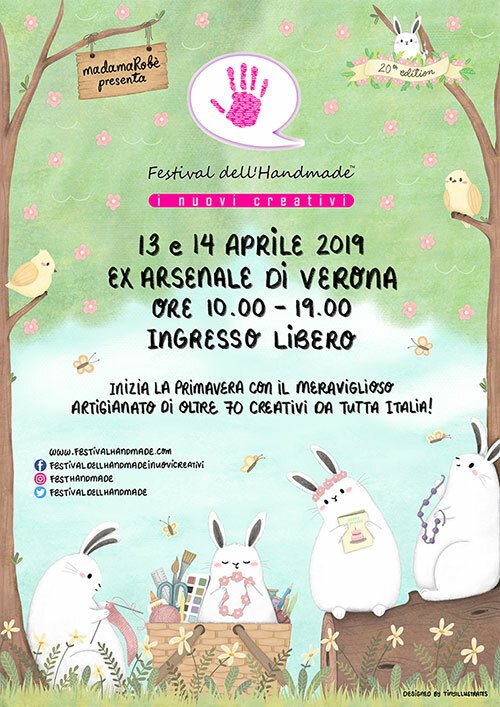 The Festival dell’Handmade – I Nuovi CreativiTM is invented and organized by Roberta Vianini madamaRobèTM who selects talented and creative people.The aim of the Festival is to show a high quality selection of creative crafters and makers with their handmade creations. The Festival values who works with creativity and enterprise. At the Festival you can find many handmade creations, old and new techniques, Italian and international crafters and makers.